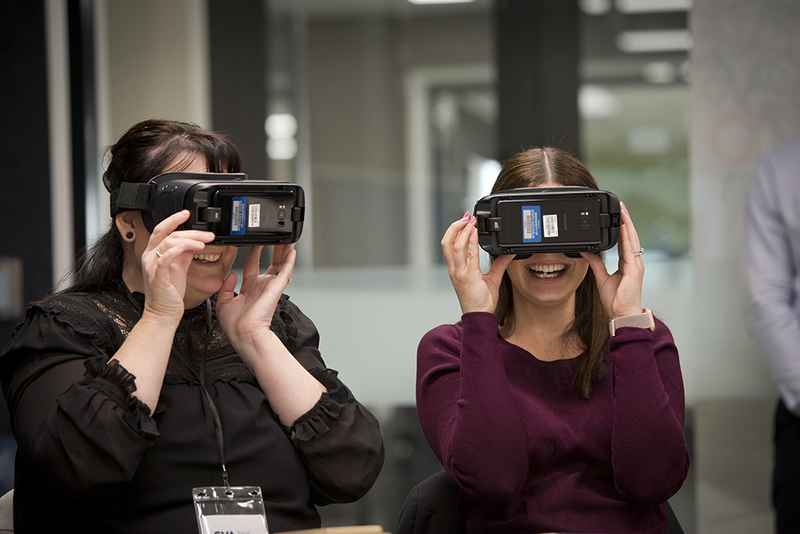 Over three busy and technology-filled days in early September, 120 school leaders, teachers and students from Victoria, South Australia and New South Wales convened within the state-of-the-art Samsung SMARTSchool on the beautiful Magill campus of the University of South Australia. It was the perfect setting for The Connection school leaders to learn about topics as diverse as virtual reality in the classroom, reciprocal teaching in mathematics or co-constructing learning through STEM. This multi-workshop model was new for a Thought Leadership Gathering, created in response to previous feedback from delegates that they’d like even more content and differentiated themes. A highlight was the hugely popular ‘TechXPO’ where students from partner schools demonstrated firsthand – quite the experts! 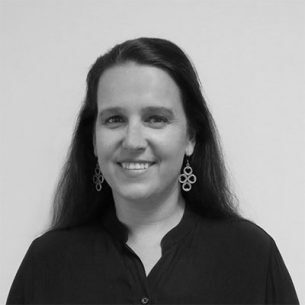 – how technology is integrated daily into their classroom learning. 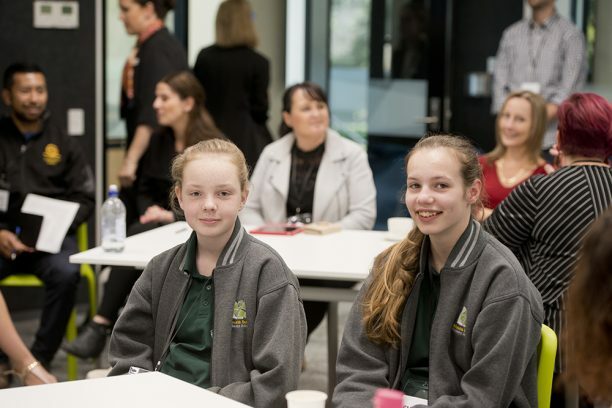 Furthermore, the first day of the gathering facilitated in-school visits to two schools in the Connection’s STEM Learning Hub: Prospect North Primary School and Wirreanda Secondary College. These tailor-made experiences incorporated presentations from both staff and students alongside an intimate tour of the whole school at work. 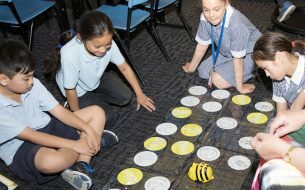 This allowed exclusive insight into how these schools have embedded STEM practice into their classrooms and the way this is slowly, but firmly, enhancing the overall learning environment at their school. For me, personally, being only my second week at SVA, this Thought Leadership Gathering was a wonderful introduction to the support model between SVA and The Connection’s partner schools and to how this unique working model can lead to real improvements in student learning and wellbeing. What were the main ideas I took home? Firstly, the exciting possibility for improving academic self-concept in a school setting, as proven by Prospect North Primary School who has seen a 30% increase in this area in the last 12 months alone. This remarkable achievement has come about in part thanks to an exemplary Digital Leadership program, which encourages all students to work towards attaining specific digital skills in order to train and guide, not just fellow students but teachers also. Inspiring. Secondly, what to make of disruptor Kieran Nolan’s startling suggestion that Facebook, Twitter and YouTube are obsolete? This topic provoked many a conversation during the TLG’s popular evening networking event, as did the panel discussion that same evening around Women in STEM. Herein lies the importance of a Thought Leadership Gathering – to create professional dialogue around topical and challenging subjects likely to influence student outcomes for years into the future. Finally, my personal favourite was discovering the deeply moving and inspirational work accomplished by the Maitland Lutheran School with their award-winning robot Pink. Pink was developed during the 3-year Humanoid Robot Research Project and established to assist students on the South Australia’s Yorke Peninsula to learn the ‘sleeping’ Indigenous language Narungga. Understanding the various lengths the school leadership team had gone to, in order to gain the trust of the Indigenous families in their community, reinforced how ground-breaking educational initiatives can have far-reaching results within the community at large. So where to next? In only a couple of months we will be proudly hosting our final Thought Leadership Gathering for the year, this time with a very special twist. 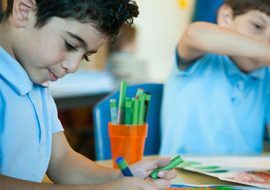 The focus will be on our inaugural cohort of Powerhouse schools and the achievements these schools have accomplished since becoming part of The Connection nearly 5 years ago. We look forward to seeing all of you for three days in the Hunter Valley, 19-21 November 2018.